When the weather starts to cool down, it’s time to think about winterizing your rental home. If frozen pipes burst, you can end up paying thousands of dollars in water damage repairs. It is best to be proactive before severe weather hits. 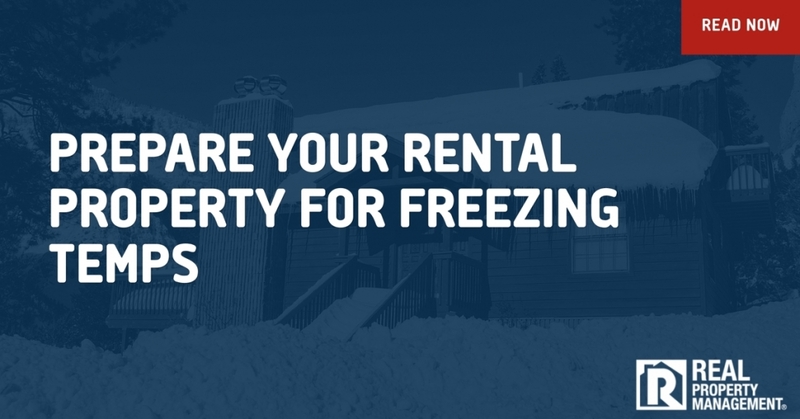 At Real Property Management SAC-METRO, we make sure your investment property is protected against cold temperatures. When working with property management, Rancho Cordova homeowners can trust the professionals at Real Property Management SAC-METRO. Your property is important to us. We deal with the daily duties of being a landlord all while increasing your cash flow. A burst water pipe hurts your bottom line. Hence, it is very important to winterize your rental unit. The best way to minimize the risks of a pipe bursting is to install proper insulation. Insulate any pipe that is exposed. This includes outdoor faucets and pipes that run through the attic. A hard faucet cover is best for outdoor faucets or hose bibs. For indoor pipes, you have several options depending on the type and location of the pipe. Considering using tubular pipe insulation, a heat cable, or applying blown-in insulation. Also, if your rental unit is vacant during winter months, it is wise to keep the heat on even without tenants in the home. Go throughout the home and open any cabinet and closet doors where pipes are visible as well. This allows warmer air to circulate around the pipes. Do you need the help of property management? Rancho Cordova investors know their property is in good hands when working with Real Property Management SAC-METRO. With more than 30 years of experience, our Sacramento property management team knows the rental industry and knows how to safeguard your investment. If you want reliable yet affordable property management, call Real Property Management SAC-METRO today!